NewsJust How Many Feral Pigs Has This State Killed This Year? The Missouri Department of Conservation in conjunction with landowners and other agencies has been working to get rid of feral pigs in the Show Me State. They are part of the Missouri Feral Hog Partnership, which seeks to provide education about the pests along with constructive ways to eliminate them and prevent further expansion into the state. 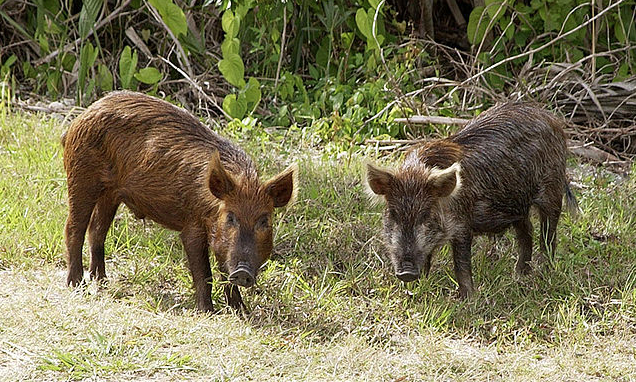 So far, 7,075 feral pigs have been killed in 2018 between Jan. 1 and Sept. 30. Mark McLain, the Feral Hog Elimination Team Leader for Missouri Department of Conservation, said the efforts are paying off. As hunters and landowners know, feral pigs can be incredibly destructive to hunting food plots, agricuture crops and timber crops. Because they move around seasonally searching for the best food sources and water, it's not easy to get a bead on them when eradication is desired. However, because of those seasonal movements, Missouri officials have changed regulations about hunting and implemented extensive trapping efforts in more than 10 counties. The changes in hunting regulations are in place to help prevent the hogs from dispersing due to pressure, thus increasing the chances of better results with trappiing. “Hunting is used as a management tool for wildlife populations,” McLain said. “We don't want to manage these feral hogs, we want to eliminate them completely. So trapping is the best way to catch the entire sounder at one time and move on to the next one and catch those and get rid of them." McLain said the trapping method used by his team involves setting up heavy gauge traps about three feet off the ground. When a trap is engaged, it drops around the pigs lured to a specific site with feed. McLain said the hogs don't look up and notice the traps as easily as they would with those on the ground. “The suspended traps do not bother them near as much as the regular corral traps," he said. "For that reason they are a little more successful. Our greatest success is 62 pigs using one trap with one drop."